Marion is working with our clients to find the very best technical commercial account handlers! Marion is recruiting and searching for technically strong commercial account handlers to join leading and expanding businesses, throughout Kent, Surrey & Sussex. 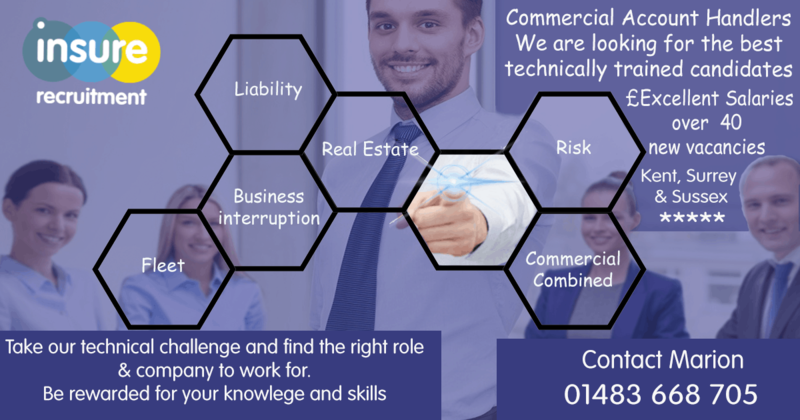 Talk to Marion today, and join a company who can reward you for your expert skills & knowledge within the commercial insurance sector.